Calgary, Alta. – The Western Hockey League announced today the Central Division WHL Prospect Profile for January, featuring forward Sean Tschigerl of the Calgary Hitmen, forward Dylan Guenther of the Edmonton Oil Kings, defenceman Carson Lambos of the Kootenay ICE, forward Zack Stringer of the Lethbridge Hurricanes, forward Cole Sillinger of the Medicine Hat Tigers and forward Jayden Grubbe of the Red Deer Rebels. During the months of January through April, each of the WHL’s 22-member Club up-and-coming prospects will be profiled. Each month, one WHL Division will have its prospects celebrated in the highlight portion of the prospect profile, with additional players from the remaining divisions recognized in the supplementary section of the profile. Sean Tschigerl, the fourth-overall selection from the 2018 WHL Bantam Draft has only continued to improve his game. Described as a forward that ‘is not only an elite offensive talent but plays a strong 200-foot game’, the forward’s stock is rising quickly. 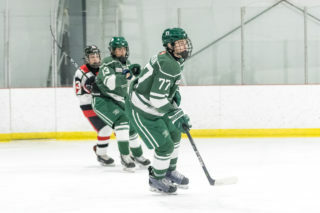 Last year, Tschigerl captained the OHA Edmonton Bantam Prep team to a Canadian Sports School Hockey League (CSSHL) Championship with 70 points (31G-39A) and has adapted to the Midget Prep league with remarkable success. Currently, the 5-foot-11, 170-pound, Whitecourt, Alta. product sits in 15th place overall in the CSSHL Midget Prep division leading players with 44 points (18G-26A). On January 20, 2019, Tschigerl made his first appearance with the Calgary Hitmen. While the game didn’t fall in the Hitmen’s favour after losing 4-1 in Red Deer against the Rebels, head coach Steve Hamilton said the experience would benefit Tschigerl going forward. As the first-overall selection in the 2018 WHL Bantam Draft, Dylan Guenther has certainly earned his ranking after playing eight games with the Edmonton Oil Kings and recording four points (3G-1A) to begin his WHL career. 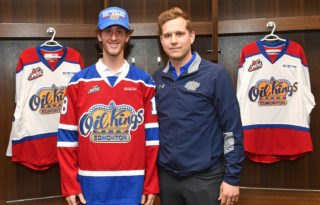 The 6-foot-0, 170-pound, Edmonton-native was an obvious choice for the Oil Kings in the Bantam Draft because of his elite-level shot and powerful game. In his third WHL game, Guenther recorded his first-career goal against the Regina Pats, supplying one of Edmonton’s six goals in a 6-1 win. Since then, Guenther has added one assist in a game against the Kamloops Blazers and two goals in a game against the Kootenay ICE to total his collection of points to four. Not only is Guenther excelling when he is recalled to compete in the WHL, but he is also showing well in the CSSHL on the Northern Alberta X-Treme Midget Prep team. Sitting second on his team in goals, Guenther has 41 points (21G-20A). Together, Guenther and Tschigerl will also compete in the 2019 Canada Winter Games for Team Alberta. As the second overall pick in the 2018 WHL Bantam Draft for the Kootenay ICE, Carson Lambos has most definitely been noticeable in the five WHL games he has competed in over the 2018-19 Regular Season. It was also noted that Lambos’ size, speed and strength fit with what was required at the WHL level. As he develops, those skill will be advantageous in the years to come. Recently, Lambos scored first-career WHL goal when the ICE played the Brandon Wheat Kings on January 19, 2019. The first goal of Lambos’ WHL career wasn’t the only memorable experience of the weekend. Friday, Carson got to suit up against his older brother Jonny Lambos for the first time in their respective WHL careers. With wins for the Wheat Kings on both nights, Jonny will have temporary bragging rights in their brotherly rivalry. When Lambos isn’t playing with the ICE, the 6-foot-0, 196-pound defenceman competes on the Rink Hockey Academy Midget Prep team in the CSSHL. The Winnipeg-native has collected 21 points (9G-12A) so far this season and is the second highest point-producing defenceman on his team. Participating in the 2019 Canada Winter Games for Team Manitoba, Lambos will look to lead his team as the highest-selected draft pick on the province’s roster. Already playing in his second year of the Alberta Midget Hockey League (AMHL), Lethbridge Hurricanes prospect Zack Stringer is on the right track to becoming a full-time Hurricane as a rookie in the 2019-20 WHL Regular Season. 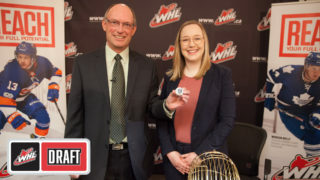 The eighth-overall selection of the 2018 WHL Bantam Draft joined the Hurricanes for his first-career WHL game on January 25, 2019 south of the border against the Seattle Thunderbirds. While Stringer did not add to the score sheet that game, he did support his team in achieving their first win in Seattle since 2004, winning 4-3. Leading the AMHL overall standings, the Lethbridge Midget AAA Hurricanes are on a hot streak with thanks to Stringer’s successful season. Currently, the 6-foot-1, 152-pound, Lethbridge-local sits fifth overall in scoring with 36 points (11G-25A), outdoing his previous seasons’ 30-point record (17G-13A), which also included an AMHL championship and TELUS Cup bronze-medal finish. Stringer also enjoyed great success over Christmas after competing in the Mac’s Midget AAA World Invitational Tournament where he tied for first place on the leader board with nine points (3G-6A) and earned a silver-medal finish with the Lethbridge Midget AAA Hurricanes. Also earning a roster spot on Team Alberta is Stringer who will play alongside Tschigerl and Guenther at the 2019 Canada Winter Games beginning on February 16 in Red Deer, Alta. Remarked as a ‘fierce competitor with high-end scoring ability’ according to the Medicine Hat Tigers, Cole Sillinger continues to impress wherever he plays after being made the 11th overall pick in the 2018 WHL Bantam Draft last May. Making his WHL debut with the Tigers on October 26, 2019 in his hometown against the Regina Pats, it was a special night for the Sillinger family. Mike Sillinger, Cole’s father and a former captain of the Pats, along with 50-60 of Cole’s friends and family members, were able to watch Cole play in his first career WHL game. While Cole was unable to put a point on the board in the first game, the next time the Tigers rolled through Regina he was called up, earning an assist on a goal by Josh Williams. The goal helped the Tigers win 3-2 over the Pats. 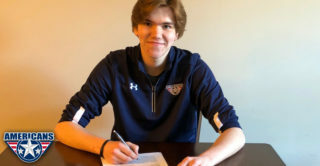 As a rookie playing for the Regina Pat Canadians Midget AAA team, the five-foot-11, 170-pound Regina product is leading the Saskatchewan Midget AAA Hockey League (SMHL) with 60 points (24G-36A). Although the Regina Pat Canadians did not make it out of their pool in the Mac’s Midget Tournament, Cole Sillinger had an impressive showing, collecting six points (3G-3A) in four games. Competing for Team Saskatchewan, Sillinger will also be in Red Deer, Alta. for the 2019 Canada Winter Games in February. Drafted not too far from home, Jayden Grubbe was selected seventh overall in the 2018 WHL Bantam Draft by the Red Deer Rebels. While Grubbe hasn’t officially appeared on the Rebels roster yet, his main camp performance was impressive. Rebels’ assistant general manager Shaun Sutter commented that Grubbe’s size advantage and unique skill set had him looking like a WHL veteran just three days into training camp. His physical play and size combined with a wicked set of skills on the ice will make him a force to be reckoned with when he makes the jump up to the WHL. For now, his current team, the Calgary Buffaloes, sit in second place in the AMHL’s South Division and second overall in the entire league. The 6-foot-1, 181-pound forward has earned 25 points (4G-21A) this season. Also competing in the Mac’s Midget Tournament over Christmas, the Calgary Buffaloes finished third in their pool with Grubbe earning three assists. Grubbe was also named as a forward to Team Alberta for the 2019 Canada Winter Games, which will begin on February 16 in Red Deer, Alta. 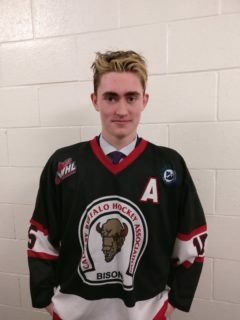 F Brett Hyland: WHL – BDN (2018) Round 2: (#24): Plays for the AMHL’s CAC Gregg Distributors and is fifth in goals on his team as part of a 24-point (8G-16A) season. Overall, Hyland is tied for fourth in scoring on the team. D Ty Gibson: WHL – EVT (2018) Round 3: (#64): Plays for the British Columbia Major Midget Hockey League’s (BCMMHL) South Island Royals and has 11 points (4G-7A). F Matthew Seminoff: WHL – KAM (2018) Round 5: (#93): Plays for the Burnaby Winter Club Elite 15s and is tied for first in scoring among all players in the Elite 15s league in the CSSHL with 50 points (19G- 31A). D Elias Carmichael: WHL – KEL (2018) Round 2: (#40): Plays for the Burnaby Winter Club Prep team in the Midget Prep league of the CSSHL and has 14 points (3G-11A) this season. F Peyton McKenzie: WHL – MJ (2017) Round 3: (#59): Plays for the OHA Edmonton Prep team of the CSSHL and has 32 points (14G-18A). McKenzie has also been called up to play for the Moose Jaw Warriors for three games this season and has one assist. G Lochlan Gordan: WHL – POR (2018) Round 3: (#57): Plays for the CAC Greg Distributors in the AMHL with a 3.90 goals-against-average and a 0.893 save percentage. Gordan has also been named to Team Alberta to compete in the 2019 Canada Winter Games in February 2019. F Tyson Laventure: WHL – PA (2018) Round 2: (#31): Plays for the OHA Edmonton Prep team of the CSSHL and has 46 points (20G-26A) placing him 12th overall in the CSSHL’s Midget Prep division leading players. Laventure has also been called up to play three games for the Prince Albert Raiders and was recently named to Team Alberta to compete in the 2019 Canada Winter Games in February. G Tyler Brennan: WHL – PG (2018) Round 1 (#21): Plays for the Rink Hockey Academy Prep team in the CSSHL and is the leading goaltender with a 2.59 GAA and a 0.914 SV%. Brennan was also selected to Team Manitoba to play in the 2019 Canada Winter Games. In late January, Brennan earned his first call-up to the Cougars, serving in a backup role with the team. F Sloan Stanick: WHL – EVT (2018) Round 7 (#145): Plays for the Yellowhead Chiefs Midget AAA team in the Manitoba Midget Hockey League (MMHL) and is leading his team with 35 points (18G-17A). On January 10, 2019, Stanick was traded from the Silvertips to the Pats as part of a trade for Robbie Holmes. D Marek Schneider: WHL – SAS (2018) Round 2 (#30): Plays for the Prince Albert Mintos in the SMHL and has seven assists. Schneider was also selected for Team Saskatchewan to compete in the 2019 Canada Winter Games. F Lucas Ciona: WHL – SEA (2018) Round 2 (#32): Plays for the Northern Alberta X-Treme Prep team of the CSSHL and has 23 points (9G-14A). Ciona has also played three games with the Seattle Thunderbirds in the 2018-19 Regular Season. F Owen Macneil: WHL – SPO (2018) Round 2 (#39): Plays for the Calgary Royals Midget AAA team of the AMHL and has 15 points (6G-9A). Macneil has also played two games with the Spokane Chiefs and will compete with Team Alberta in the 2019 Canada Winter Games. F Dawson Springer: Listed (EVT) 2017: Plays for the Prince Albert Mintos of the SMHL and has recorded 39 points (23G-16A). 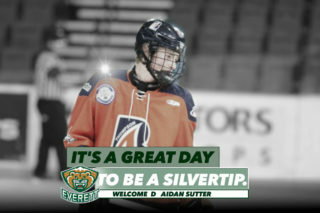 Originally listed with the Everett Silvertips, Dawson was acquired in December 2018 by the Swift Current Broncos. Making his WHL debut on December 15, 2018, Springer scored his first-career WHL goal in his WHL debut. D Carson Haynes: WHL – TC (2018) Round 3: (#58): Plays for the Lethbridge Midget AAA Hurricanes in the AMHL and has seven points (1G-6A). Last season, Haynes captained the Lethbridge Bantam AAA Golden Hawks team, finishing with 24 points (8G-16A). G Drew Sim: WHL – VAN (2018) Round 3 (#46): Plays for the Delta Hockey Academy Prep team in the CSSHL and has a 3.83 GAA and a 0.882 SV%. Sim is also competing in the 2019 Canada Winter Games with Team Alberta. F Matthew Hodson: WHL – VIC (2018) Round 3 (#52): Plays for the Saskatoon Contacts in the SMHL and has 28 points (13G-15A). Hodson was also named to Team Saskatchewan’s roster to compete in the 2019 Canada Winter Games.